Syrian rebel groups have decided to attend peace talks backed by Russia and Turkey in Kazakhstan in a bid to check Iranian influence over the war, rebel officials said on Monday. Their decision is a boost for a Russian-led initiative aimed at ending the nearly six-year-old conflict. Russia, President Bashar al-Assad’s most powerful ally, set the new diplomatic effort in motion after Syrian rebels suffered a major defeat last month by losing the rebel-held districts of eastern Aleppo. The United States, which led failed efforts to launch peace talks last year, has not been involved in the latest diplomacy, reports Reuters. Assad has already said his government is ready to attend the talks. After winning ground with Russian and Iranian military support, he looks stronger than at any point in the war. The rebels took the decision at meetings underway in Ankara, and are now working to form a delegation that will be headed by Mohammad Alloush, the head of the political office of Jaish al-Islam rebel group, Alloush told Reuters. He said the rebels were going to Astana to “neutralize the criminal role” of Iran. Analysts believe the rebels have been under pressure from Turkey, one of their main sponsors, to attend. Earlier this month, they called off any talks on their participation in the Astana meeting over what they said were government violations of a ceasefire brokered by Russia and Turkey. 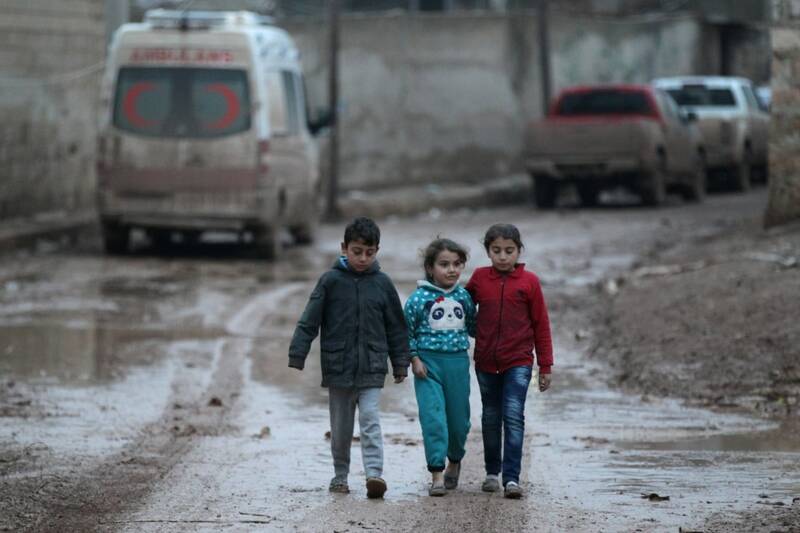 Turkey’s priorities in Syria appear to have shifted away from toppling Assad toward combating Kurdish groups and Islamic State in areas of northern Syria near its border. Its ties with Russia have also improved in recent months. “The factions will go and the first thing they will discuss will be the matter of the ceasefire and the violations by the regime,” said an official in a Free Syrian Army rebel group who declined to be identified because the rebel groups had yet to appoint a spokesman. “This will be a test for the Russians as the guarantor,” he said. The talks are scheduled for Jan. 23 in Astana. Turkey’s foreign minister said on Saturday that Ankara and Moscow had decided to invite the United States to attend. A Kremlin spokesman did not confirm that on Monday. As with last year’s peace talks, powerful Kurdish groups that control wide areas of northern Syria are being excluded from the talks in line with the wishes of Turkey. Fighting has continued despite the ceasefire, notably near Damascus where government forces backed by Lebanon’s Hezbollah are trying to recapture a rebel-held area where the capital’s main water supply has been bombed out of service. The rebel groups that will attend the talks include FSA factions fighting in northern Syria, some of them the groups defeated in Aleppo. Alloush’s faction, Jaish al-Islam, is one of the bigger rebel groups, with a strong presence in the rebel-held Eastern Ghouta area near Damascus. The delegation will be different to one sent to peace talks in Geneva last year by the main opposition council, the Saudi-backed High Negotiations Committee. The HNC, which includes political and armed opposition groups, represented the opposition in peace talks last year. Alloush sits on the HNC, which said on Saturday that it had supported efforts toward the talks in Kazakhstan, and viewed the meeting as a preliminary step for resuming the next round of political negotiations in Geneva.